It offers each with its own bathroom and fully independent. Half board and full board, organizing events or birthdays of group, cultural and gastronomic settiamane .Visite the important cities of Tuscany and Umbria. Many of its rooms feature fireplaces and small kitchenette. Our property is named after the neighborhood in which it is located and the sunshine that illuminates our gardens during the day. 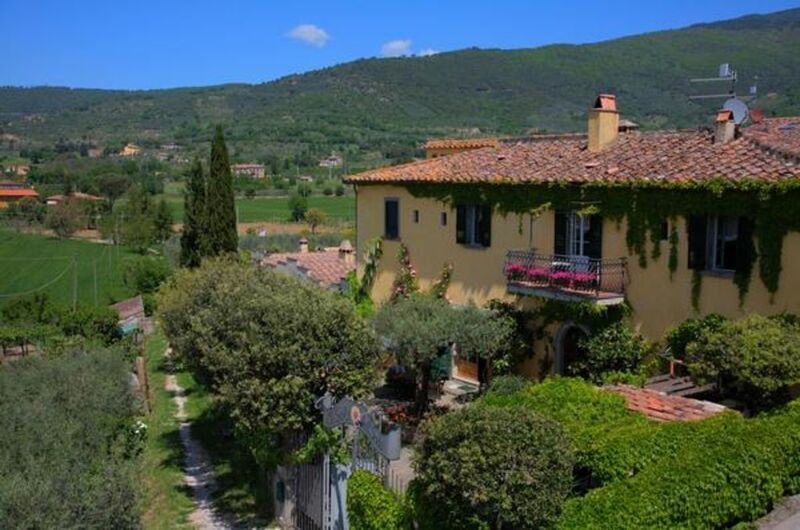 We offer the ideal holiday location, making our property the perfect base for daytrips to valleys and charming towns in close proximity to Cortona – from Valdichiana to Val D'Orcia, Montalcino to Pienza, spas to churches frescoed by Piero della Francesca and to nearby Umbria with its enchanting landscapes. And after a busy day you'll be able to relax next to the pool or in the garden courtyard and watch the sunset, while sipping on a glass of wine accompanied by a tasty selection of local foods. Il Sole del Sodo is the fulfillment of Claudia's dream. With the help of her family, she successfully converted the old farmhouse into a comfortable Bed & Breakfast—combining her Roman sense of style with her own inspirations from her many family trips to Tuscany. - Cot for adults: per object and day for rent at a price of 20 EUR (Mandatory). - Cot for children: per object and day for rent at a price of 10 EUR (Mandatory). - Fuel for chimney/fireplace: per object and day Costs amounting to 5 EUR (Mandatory). - Pet: per object and day Costs amounting to 10 EUR (Mandatory). - Visitor's tax: per person and day Costs amounting to 2 EUR (Mandatory).